Home » Articles » Should Animals be Kept in the zoo? Should Animals be Kept in the zoo? Zoos has been a major point where people comfortably view and study animals both for pleasure and research purposes. There are so many zoos in the world housing different kind of animals ranging from the small sized mouse to the big sized elephant. The first modern day zoo opened in 1793, in Paris, France following the London Zoological Gardens, which was opened for scientific study in 1828 and to the public in 1857 and since then the love for viewing wild animals in captivity increased. It is a stale truth that one cannot just walk into the forest, unskilled to view or study animals, it will be putting the individual in a great risk of life and death. Over the years, the growth of zoos around the world increased the captivity of wild animals. Being held in captivity takes away your natural freedom, limits you motor activities and mobility and then causes a lot of mental stress. Now, these animals are just like humans with developed body system and a brain (some are not too advanced though) and they are bound to feel all the downtrend coming up from Captivity in the zoo. Zoos hold strongly that they maintain a strong welfare standards for animals in their care but nevertheless, going round some of the zoos will tell you otherwise. This will bring me to the big question in a bit, Should animals be kept in the zoo? While there continue to be challenges in the global implementation of animal welfare standards, the world association of zoos and aquariums (WAZA) has set up codes of ethics and animal welfare , guidelines on animals interaction and positive animal welfare. "The World Zoo and Aquarium Animal Welfare Strategy recommend that zoos and aquariums should apply a simple welfare model – the "Five Domains" – and make an ongoing commitment to animal welfare in all operations and to all animals in their care. The Strategy recommends continued education and training of staff in animal welfare, and a commitment to animal welfare research, to applying animal welfare knowledge to exhibit design and to being leading centre for animal welfare". Keeping wild animals in the zoo and in captivity has its benefits and demerits, and we will take them one at a time. * Endangered Species: The zoo is quite a safe place for some of the endangered species as against their natural habitat where they will be opened to poachers who care for nothing more than economic gain. * Research and study: A lot of scientific research has cropped up from zoos with animals in the zoo as subjects. This has helped in the mental, social and physical study of animals which has led to the development of vaccines and drugs to maintain a good health condition. * Educate: Students from different schools around the world visits the zoos to get a firsthand experience of what they are being taught in their various institution. 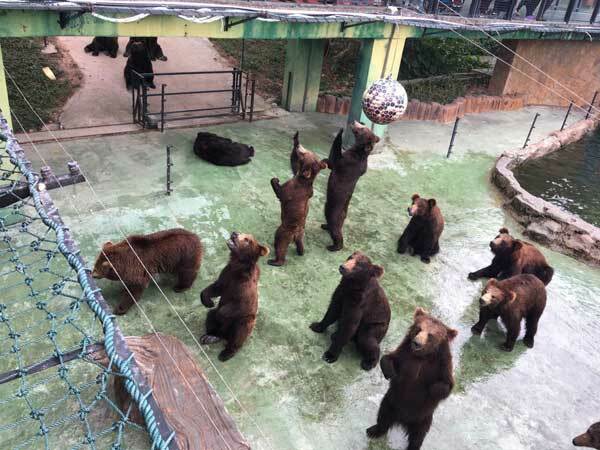 The world association of zoos and aquariums and governments at all levels should put up enforcement measures to ensure that the welfare of animals is a priority to zoos and zoo owners. Cruel treatment of animals should be discouraged and zoos selling animals to circus should be frowned at. Some animals do not do well in Captivity, as such they need to be left in their natural habitat, where they can live freely and reproduce to ensure continuity and prevent extinction. At this point, I will say that Animals but not all animals should be kept in the zoo. Now tell me, what do you think, should animals be kept in the zoo?